Here’s some sample code that demonstrates how to dynamically determine the GUID of a related record and use that to default a lookup field on a CRM form on form load. In this example I have a dummy Contact record called “new contact” which I want to default onto the Phone Call form each time a new Phone Call record is created. 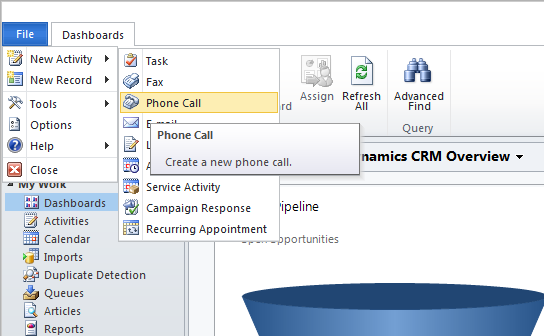 note: I have also re-configured the Phone Call entity’s Direction field so that “Incoming” is the default. The idea being that the user is launching the Phone Call form to record an incoming call from an unknown caller. Defaulting in a dummy Contact may some an unusual scenario but it is not uncommon to utilise a dummy record when dealing with anonymous callers or when wanting to defer the collection of contact details until later in the process. In a Call Centre environment for example you will not achieve desired efficiencies if you except having to manually create new Contact records before being able to create Phone Calls, Cases, Opportunities, etc or before being able to convert Phone Calls to Cases or Opportunities (I expand on this Call Centre scenario in my next post). There are 2 parts to this. Firstly, we need to find out the GUID of the Contact record that we want to default on to our Phone Call. You could figure this out manually and then hardcode the GUID but then your code will not be transportable across environments. Instead in this example I have hardcoded only the name of the contact (we can easily create this Contact in each environment, it’s just data). 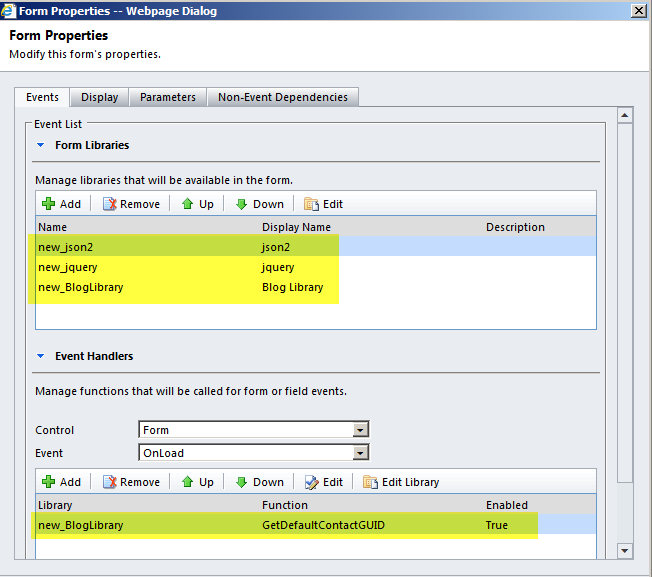 My dummy Contact is called “new contact” and I use the REST oData endpoint to locate that record’s GUID by searching on that name (An alternative approach would be to store the GUID in a configuration entity and then use REST to query for the GUID from there, however the same coding approach applies). And then secondly, once we know the GUID it’s a relatively simple matter of doing a SetValue to populate the field on the form. The code snippet above contains 2 functions. The “SetLookupValue” function is used to default the lookup field. It is called by the 2nd function “GetDefaultContactGUID” which is where the REST query is constructed. If you’re not sure what I’m talking about when I mention json and jquery web resources have a read of this earlier post. That’s it, the code is well commented so have a read of that to understand the syntax. A solution file containing the above web resources and minor change to the Phone Call entity is available here for download. Hope this helps someone. 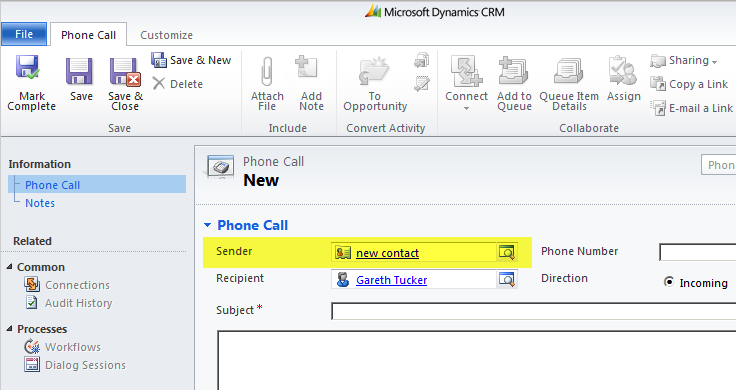 This entry was posted in Uncategorized and tagged 2011, crm, lookup, oData, REST on August 23, 2011 by Gareth Tucker.